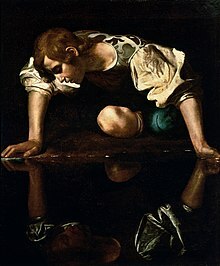 Narcissism is a very thick emotional defense system that generally works well in getting what you want, but eventually leaves you empty without meaning or content. It’s important to recognize an emotional defense system is not who a person is. It’s a defense against emotional pain. The defense system of narcissism doesn’t always come out in the same way. It varies from person to person. The emotional defense system of narcissism can be untangled and released. In itself, having this defense system is not a moral issue. (Most emotional defense systems have negative effects on others, and/or ourselves, and we virtually all have emotional defense systems in various areas in our lives.) The main issue is that most people who have this defense system aren’t motivated to change it, because it gives them easy perks because of their ability to charm and manipulate people. Being willing to go through the therapeutic process it takes to release narcissism, and giving up the easy perks gained by living in that way does take strength of character. It takes being willing to look at how he/she is actually acting toward others, and the effect it has, to be willing to take the challenging therapeutic process needed to release what is holding this in place. But the results of coming out on the other side of this is well worth it. It is generally when the person with this defense system finds himself empty inside and not really having what really matters in his life that he will consider giving up his/her easy gains.